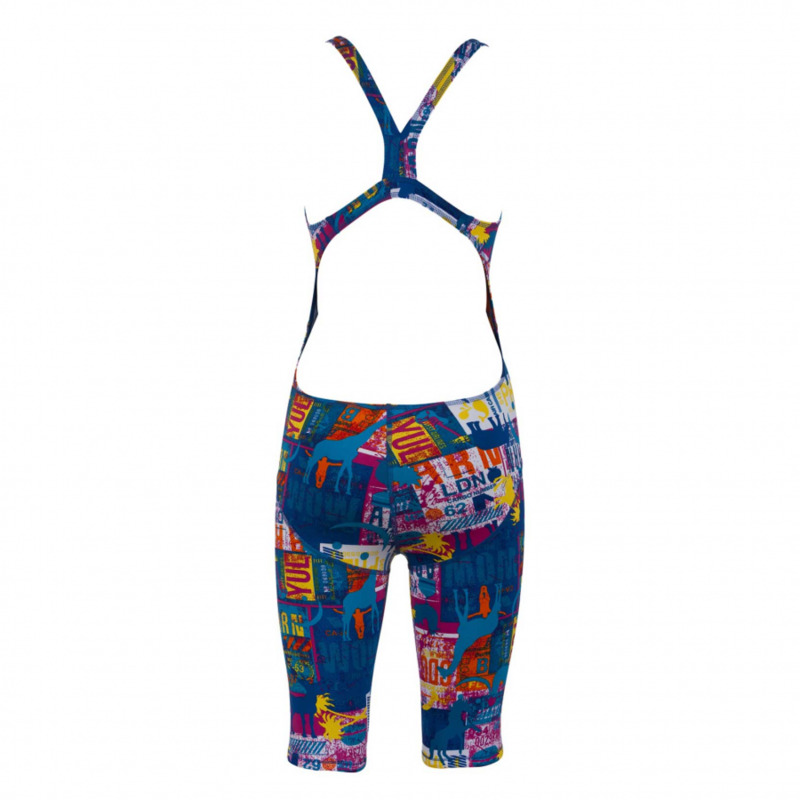 The Arena women’s Passport full body short leg swimsuit features a multicoloured travel and passport inspired design. It is manufactured from Max life material for long lasting performance and comfort. This material is chlorine and abrasion resistant for great resilience and perfect fit. The full body, short leg design echoes that of the racing suits but without the compression. This makes the Passport an ideal suit for training!